I can fly round trip from Santo Domingo, Dominican Republic to San Juan, Puerto Rico for 228 USD. I am probably going to fly on May 28 to Puerto Rico, then return on May 30. I paid 3000 extra dollars last month in plane tickets, visa, and cost to assist my girlfriend Bah to leave Ivory Coast. Then upon leaving, I needed to give her enough money to live for six month, wow, that was an expensive month. I am grateful I had the chance to help bring her out the war in Ivory Coast; it did feel good to know I am willing to sacrifice my own, for another. However, I am now suffering the consequences; I need to build up my saving. It will take about three months to build up my saving again. I think it is almost impossible or foolish for a person who spends all their monthly income to travel the world. I must have the capacity to save money; it is an essential trait of a traveler of the planet. Couple the big unexpected expense, and the Big G effectively cutting my monthly income by 30-40 percent, I need to budget my money. I have worked for two weeks here in Sosua with high speed Internet and increased my traffic and income by roughly 5 percent, and in another month, I should be earning the same as before. It would really help if I was greedy, I would just run this income up to 10,000 per month and not need to ever think, but I am not, so I tend to stop the push when I have enough to live comfortably. Eventually, what will happen, our site will grow on their own faster than the Big G because of interactive participation by users. Bottom line, you uploading photos to HoboTraveler.com will help me to travel the planet. I wanted to buy an Orange cell phone SIM card for 100 pesos. They wanted a copy of my passport, so I took a photo, and then change all the data so it was more or less a fake. I took my thumb drive to an Internet Café and the woman put it in the computer. In the 10 minutes it was in the machine, I got malware on the chip; it was amazing how stupid things can get. She pulled the USB thumb drive out of the machine twice without click on the safely remove. The more data I have, the more dangerous allowing anyone to help me becomes, I have a back of the data on the chip, but it was about a month old. I carry an extra chip just for these occasions but was too lazy to get it out and use it. I am not going to explain, but I am going to go to Puerto Rico for business. I do not have any secrets, but I do not like people to send me endless questions on some topics. 1. Soon we will allow them to connect their Paypal.com and sell them. 2. Less than one in 100 people wants to learn wordpress just to host their photos. 3. I am 100 percent sure they will not make any money with a site with their family photo. If this was true, you would put Facebook out of business. I think you need to empathize a little better with what people truly can do, and not what you may or may not know how to do. Note, you need to put up a profile photo, soon people without profile photos of something will not be able to post. I am 100 percent sure I will go back to prior levels of money, that is a cake walk for me. I think in a lot of ways I am indignant about the Big G's actions because they are truly going to put the small boys, about 50 percent of the one aspiring to have a site like mine out of business. These people put up great content, it just is not right. I owned up to 30 at one time. 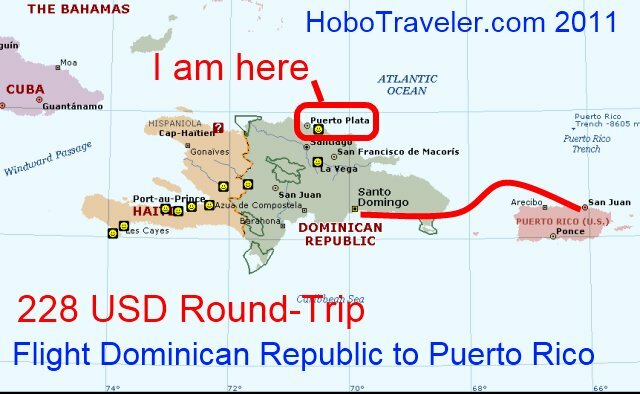 Puerto Rico is part of the USA for my 2555 filing, therefore I will only be in PR for two days, this is more or less a run to see long-term friend that isa SEO - Search Engine Optimization expert that works for one the largest sites on the planet.